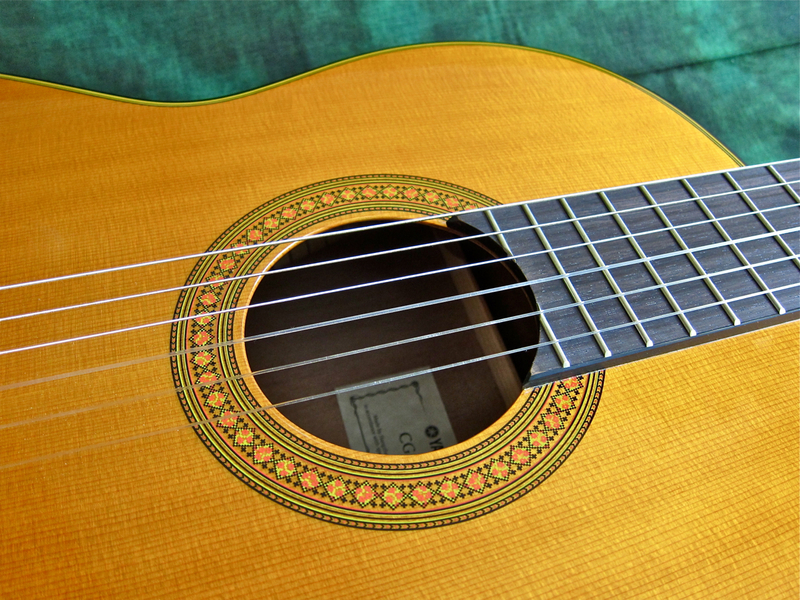 There’s surprisingly little information available on the net when it comes to classical/nylon-string guitars. 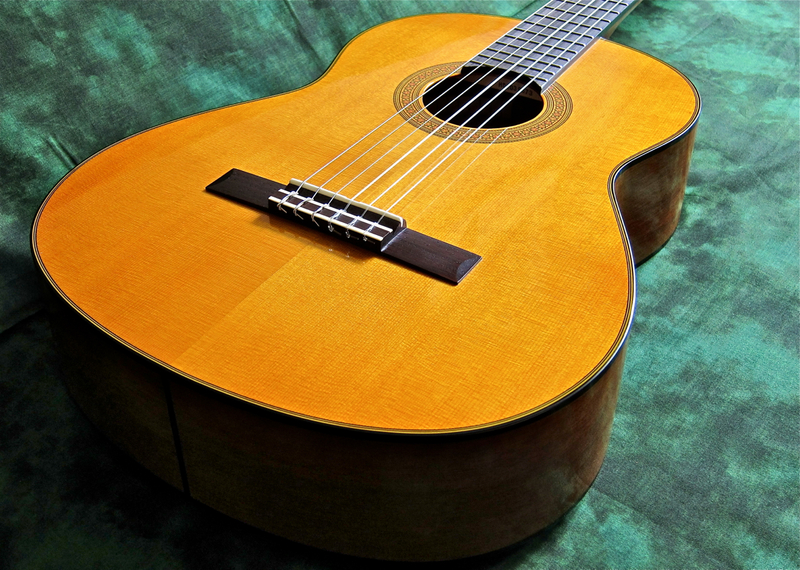 Yamaha’s C- and CG-series instruments are the best-selling classical guitars in Finland. We selected a solid cedar -topped Yamaha CG142C for this review. The Yamaha NTX900FM is a very interesting hybrid model – a nylon-string with a pickup and preamp system, as well as a narrower-than-classical nut width. Typical of the company’s output, Yamaha’s CG142C (current street price in Finland approx. 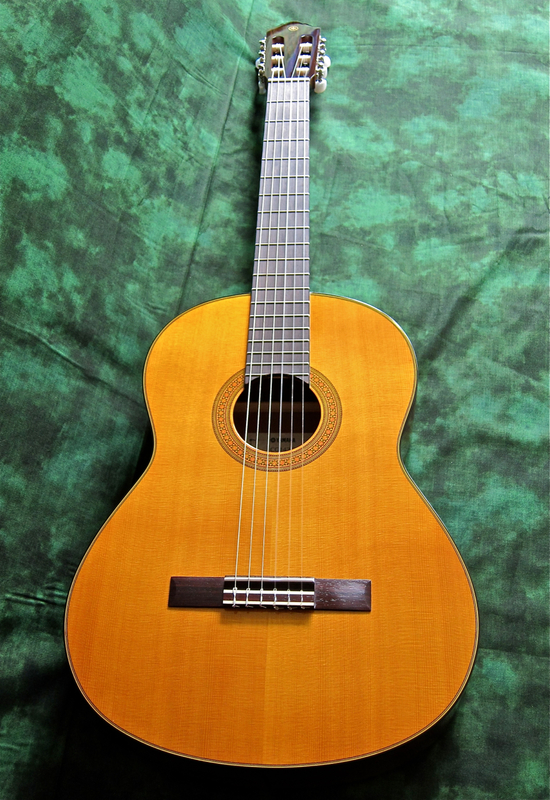 300 €) is an extremely clean piece of work with the understated charm of a classical guitar. 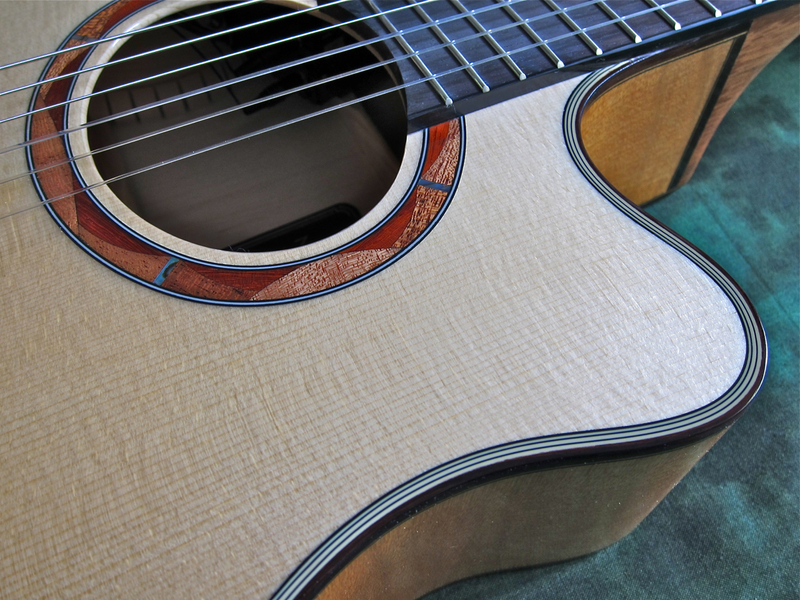 All CG-series guitars are build with solid tops – spruce-topped models have an ”S” suffix to their name, while cedar models are denoted with a ”C” at the end of their model name. 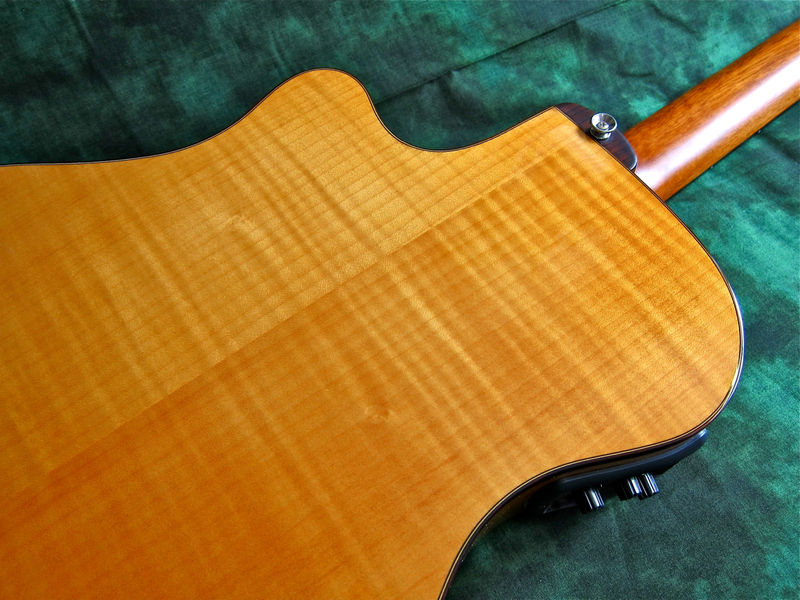 The neck, as well as the body’s back and rims, has been crafted from nato-wood. Nato is a South-East Asian tree species (lat. Palaquium) which looks and sounds similar to mahogany. 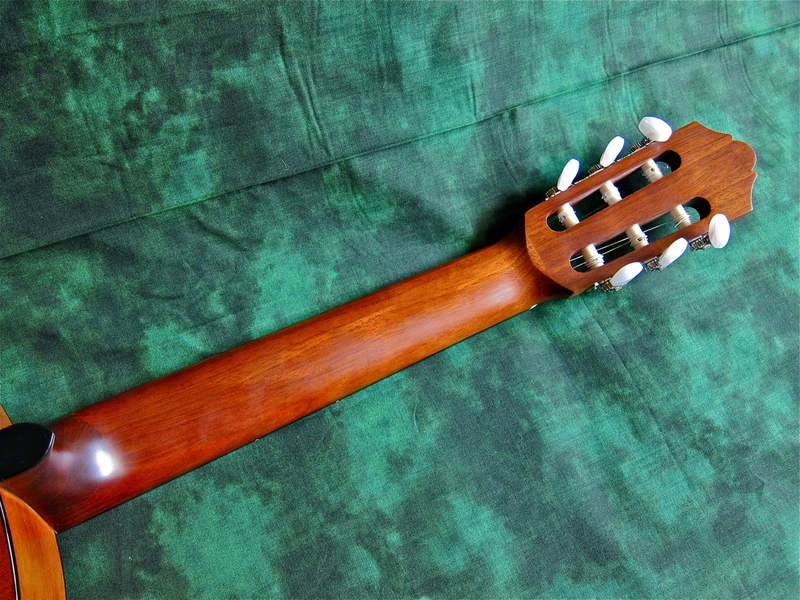 The neck is solid wood, while the body (apart from the top) uses nato-plywood. 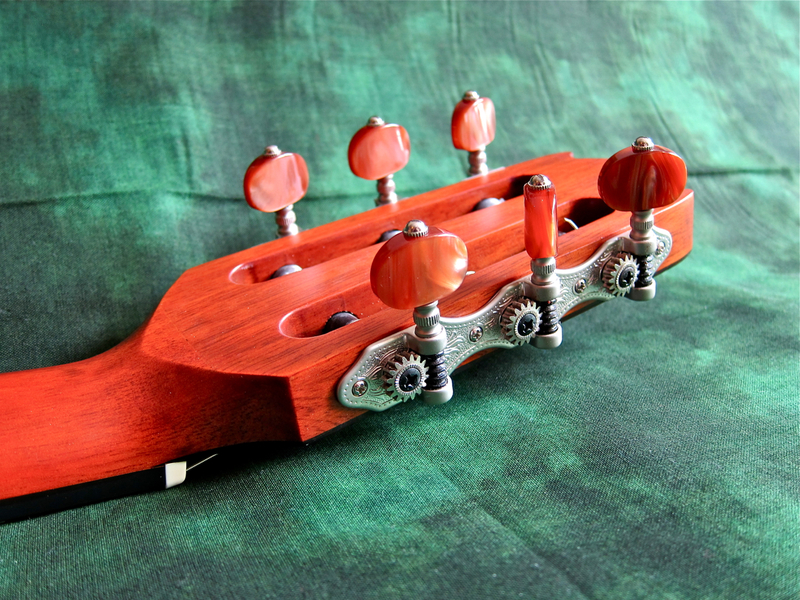 The headstock sports a beautiful rosewood veneer. 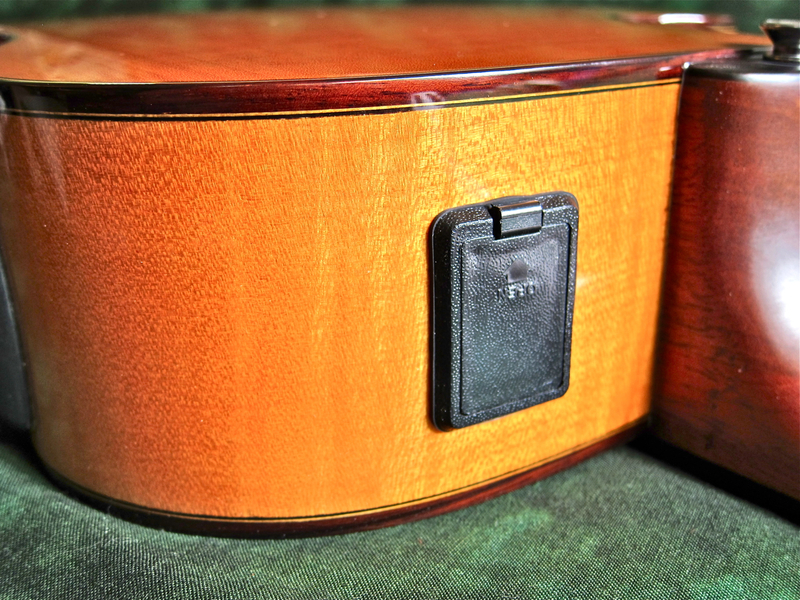 The CG142C comes equipped with traditional, open tuners. The headstock has been glued to the main part of the neck right above the neck wrist. 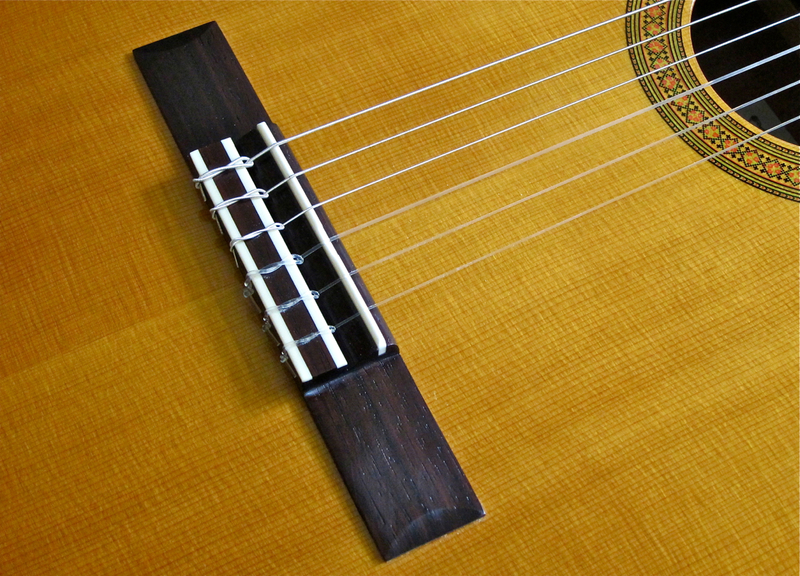 The satin-finished neck has been made by gluing together three strips of nato side-by-side. Added onto this main part is the neck heel, built up from several pieces of nato. Using small cut-offs in this way not only keeps costs sufficiently low, but also helps to save natural resources. 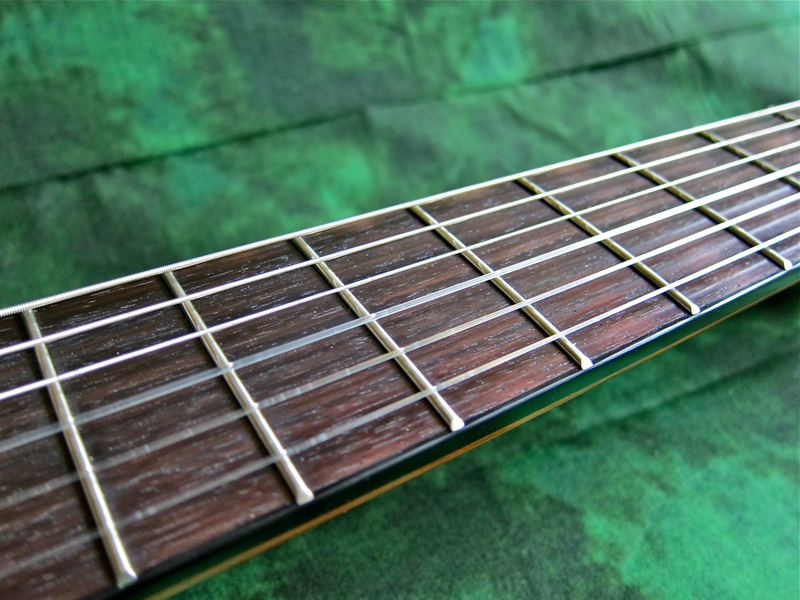 The bound rosewood fretboard sports traditional small and narrow frets. The CG142C’s beautiful rosette is actually a decal, stuck onto the top prior to lacquering, which is common practice on many budget classicals. Higher-priced models feature rosettes crafted from many small pieces of wood and other materials. 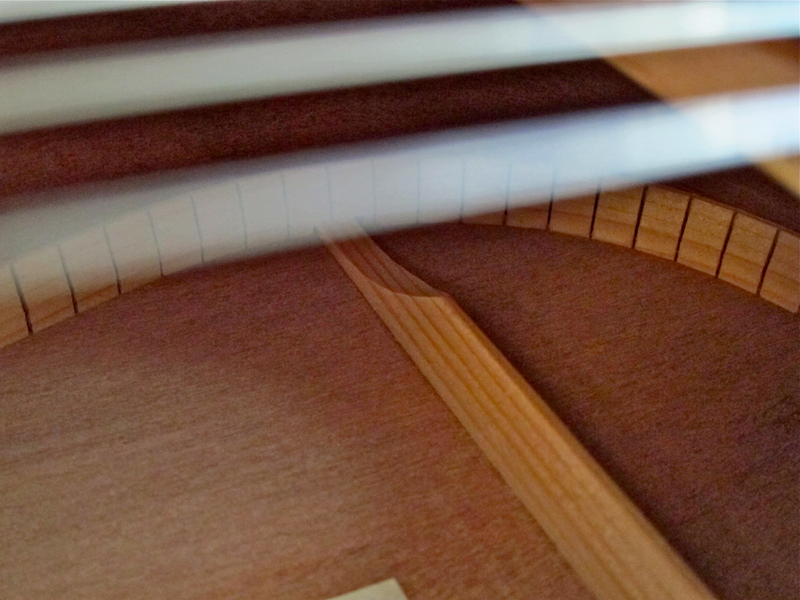 Here’s a close-up look at the top’s five-ply binding. The back’s black binding is carried across to the heel cap. 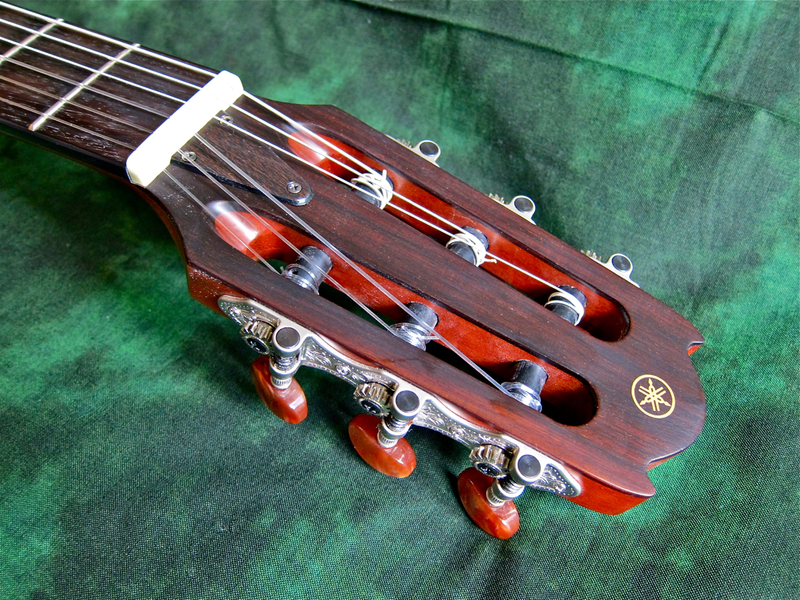 The Yamaha CG142C’s rosewood bridge is quite fetching in its poised simplicity. 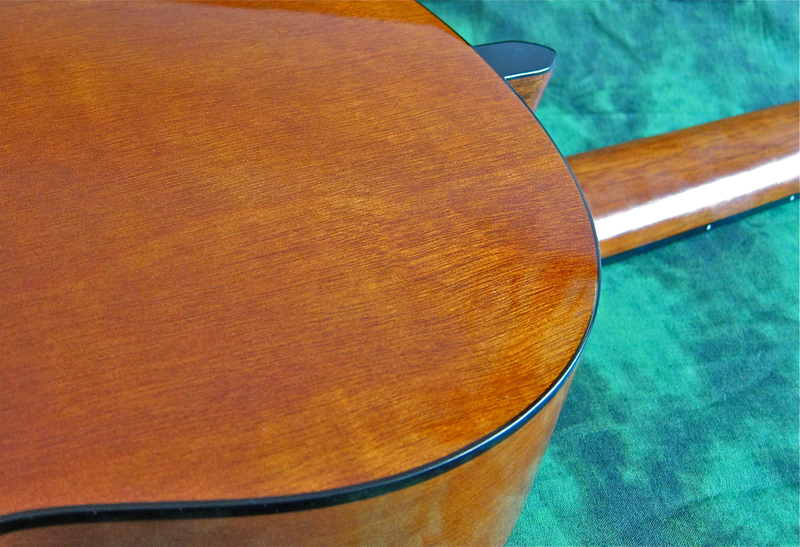 Yamaha’s classical guitars tend to display clean workmanship on the inside also. The Yamaha NTX900FM (current street price in Finland approx. 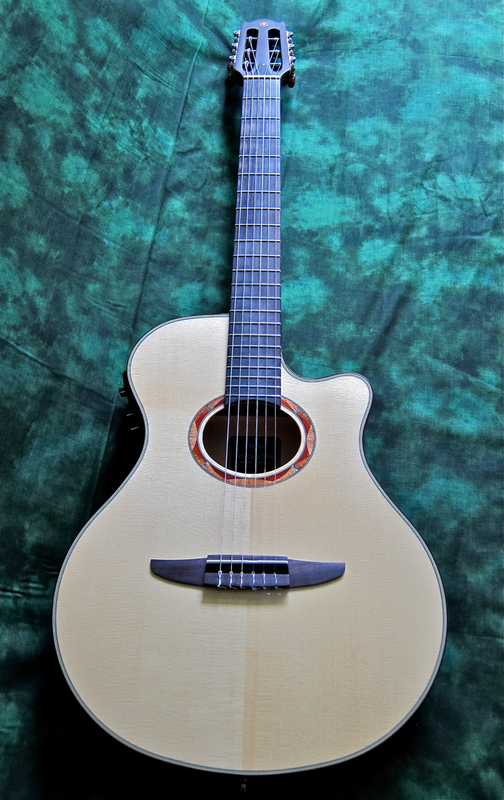 800 €) is the nylon-string cousin of the company’s APX-guitars. It has been designed for the guitarist who needs a quality pickup system, but doesn’t necessarily like the traditional wide and flat classical neck profile. 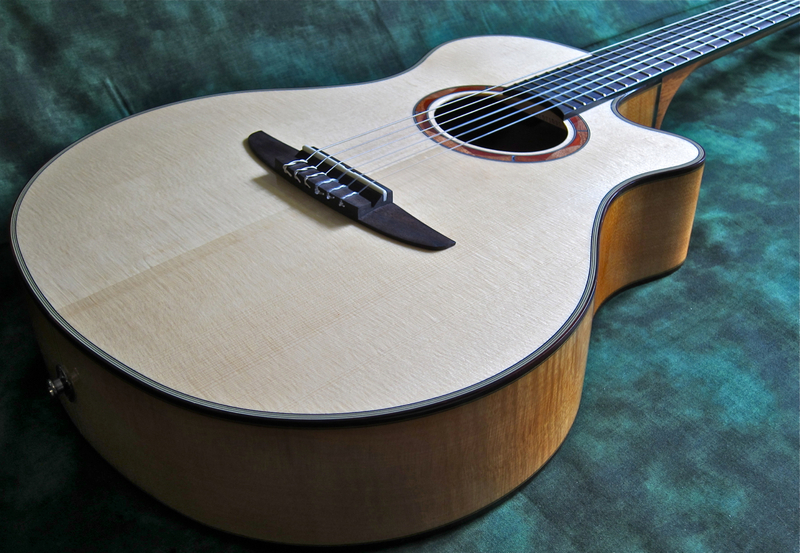 The NTX900FM’s top has been crafted from solid Engelmann-spruce. The nato neck has been glued to the maple body. 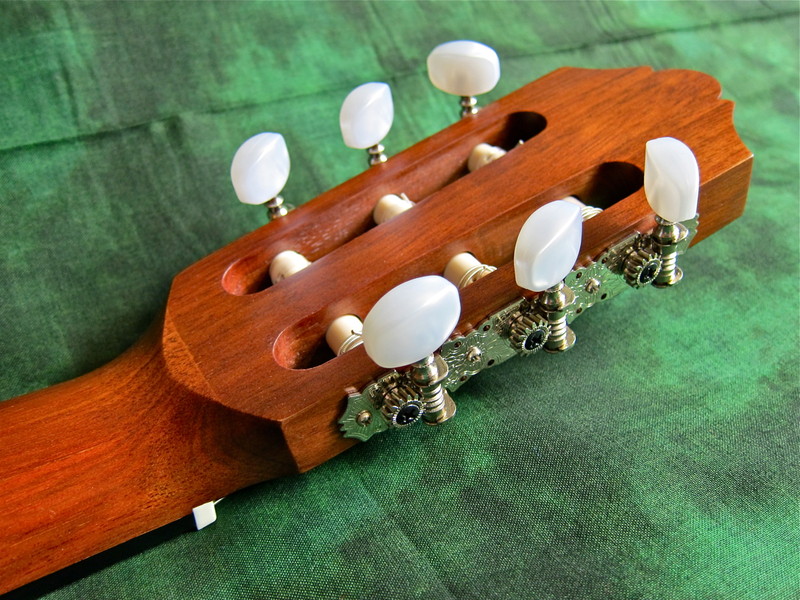 …which is complemented by the nice tuners. 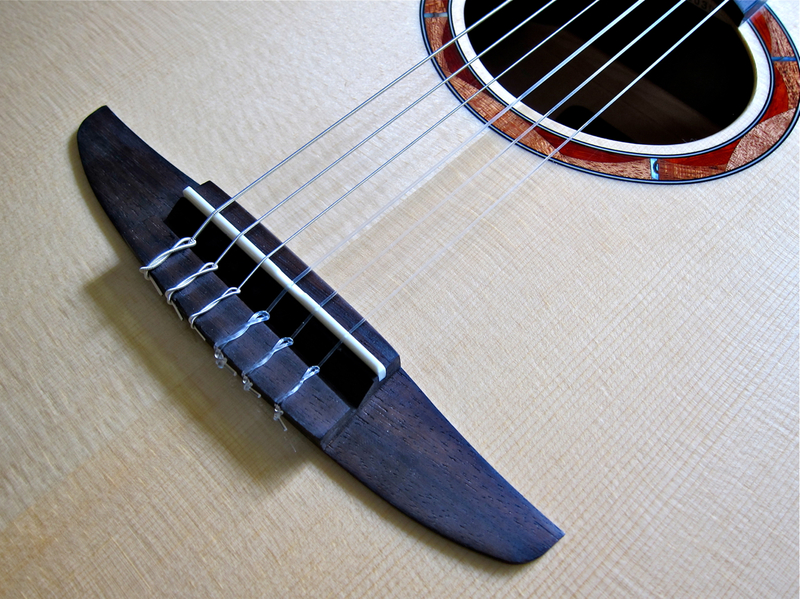 The NTX’ bound fingerboard is rosewood and comes with traditional frets. NTX-guitars have the same type of body shape as their APX-brethren, and, just like the APX-guitars, the NTX-body is also shallower than what you’d expect from a classical guitar (with a depth of about 75 %). 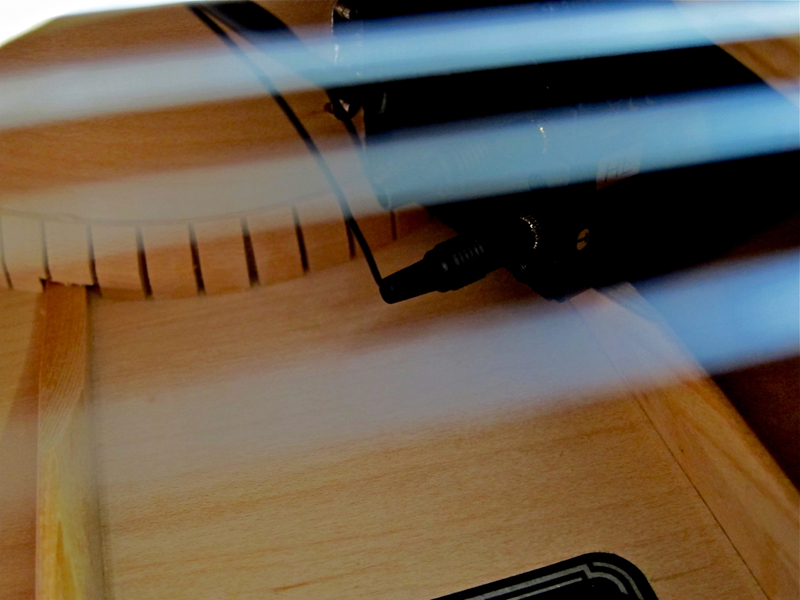 The NTX900FM’s rosette has been beautifully crafted from various pieces of wood, as well as small bits of abalone. The honey-coloured finish of the flame maple soundbox looks good enough to eat. 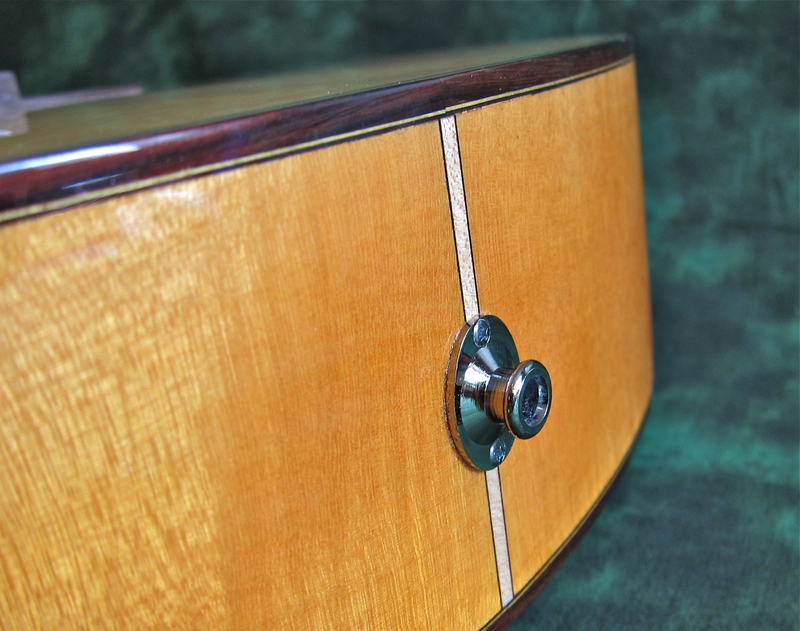 Thes NTX900’s rosewood bridge also breaks with classical tradition in a stylish way. This guitar’s preamp is Yamaha’s ART System 61, which is a two-band preamp with separate piezo transducers for the bass and treble string triplets. This enables you to adjust signal levels independently for the bottom and top halves. The ART System 61 preamp is equipped with a three-band EQ and a digital tuner. The battery compartment has been placed next to the neck heel. NTX900FM carries two strap buttons, with the bottom one doubling as the piezo system’s output jack. The workmanship is clean and neat all around – inside and out. Yamaha’s CG412C feels like a typical classical guitar: The nut width is a whopping two inches (52 mm) and the neck profile is true to style, namely flat and broad-shouldered. 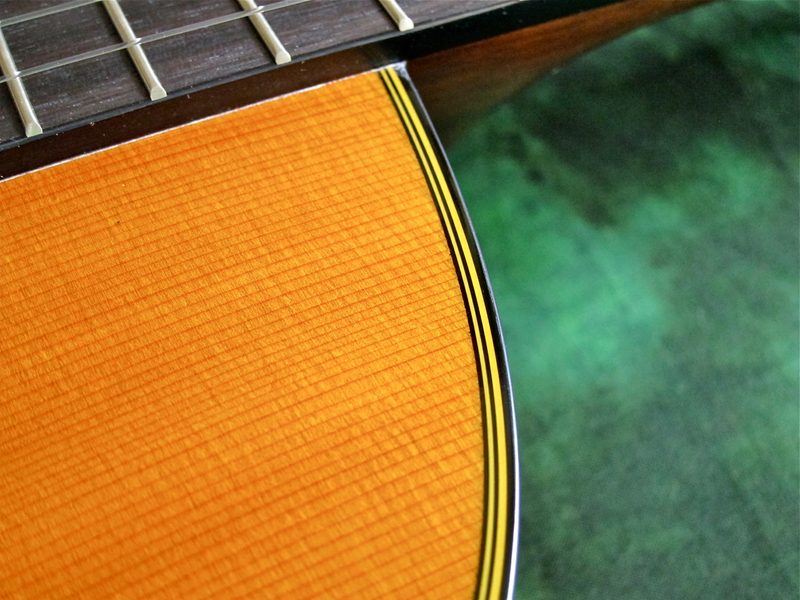 Such a traditional neck gives your left hand plenty of breathing room for complex fingerings, but barre chords require more attention and strength compared to a steel-string. 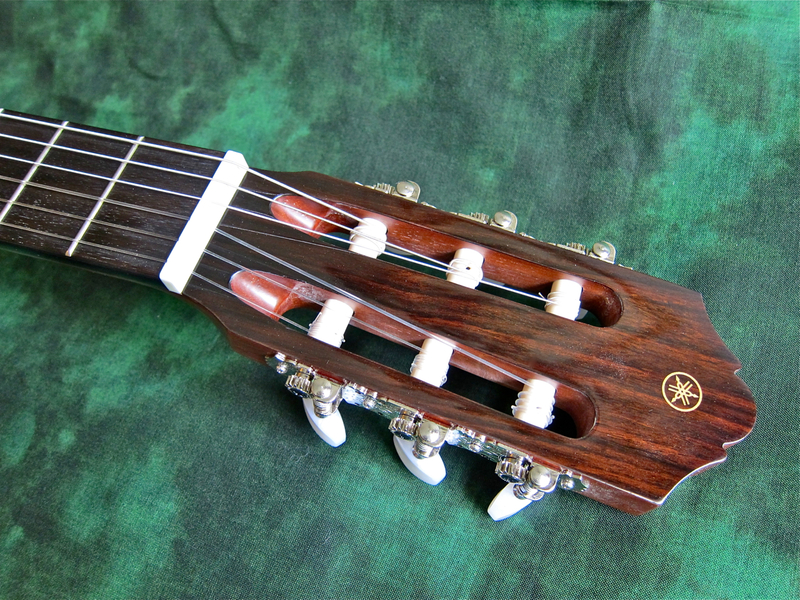 From an electric player’s standpoint a traditional classical set-up looks impossible, with the action at the 12th fret typically somewhere around 3.5 mm, but this is standard, comfortable fare on a nylon-string. Nylon strings are much softer than steel strings, and they also require a higher action to allow for their larger excursion. 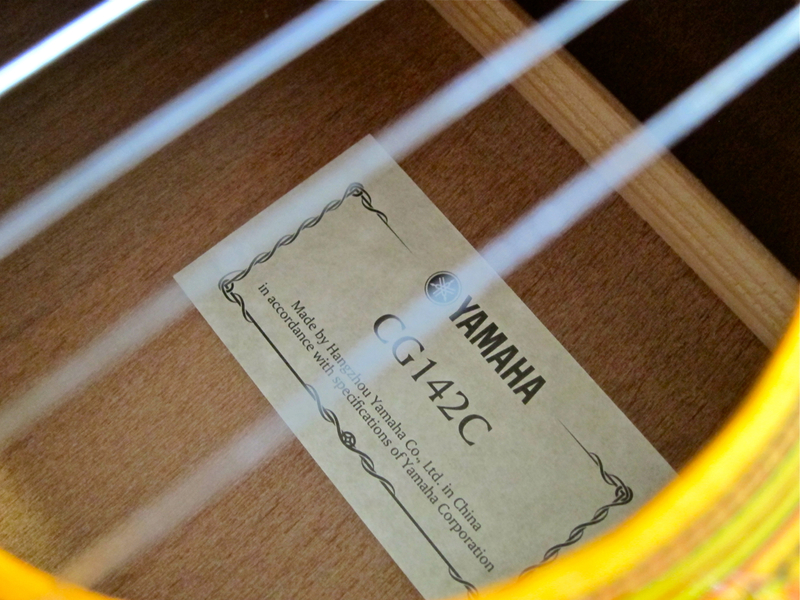 Yamaha’s CG412C sings with a nice, full-bodied voice and an open tonal character. The guitar doesn’t project as well as an expensive classical does, but in its own price bracket the Yamaha CG142C clearly is a winner. 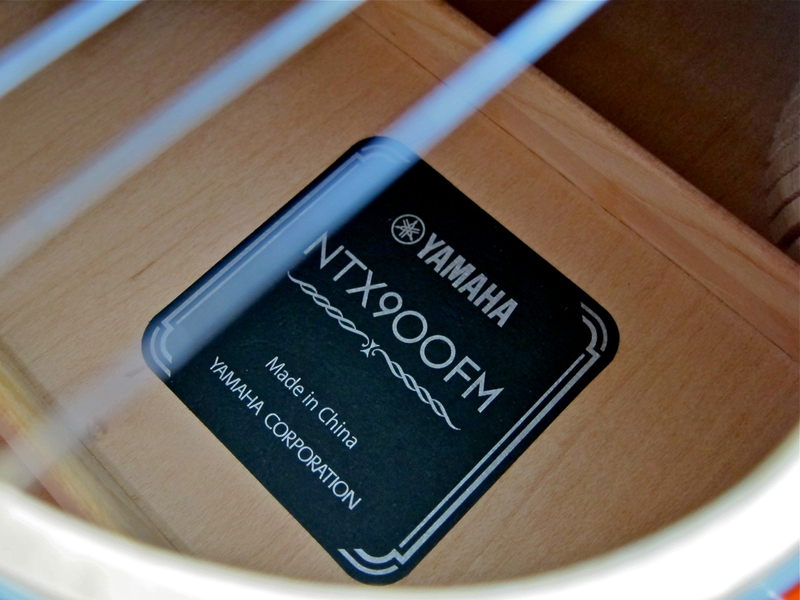 The nut width of the Yamaha NTX900FM’s neck lies halfway between a standard steel-string and a classical guitar, measuring 48 mm. The neck’s more tapered, slimmer and rounder D-profile makes for a much friendlier feel for the non-classical guitarist. 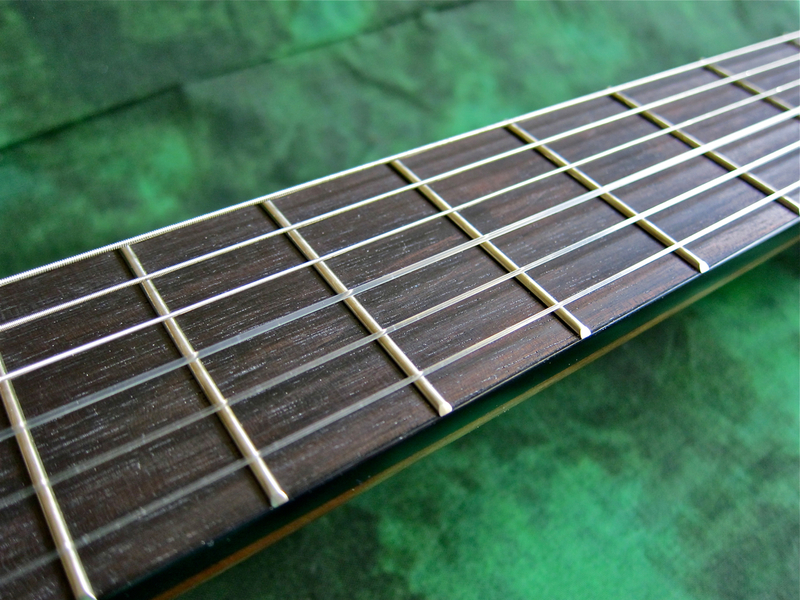 The NTX also comes with a lower string action (bottom-E: 3,1 mm/high-e: 2,6 mm at the 12th fret). 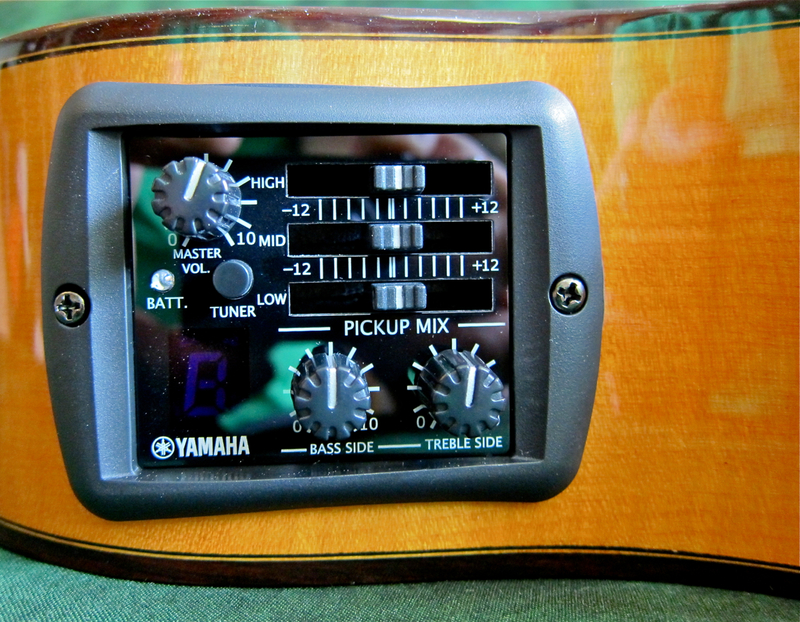 This clearly narrows the guitar’s dynamic range, but also makes it easier to play for most of us. Due to its shallower body and the use of maple for the soundbox, the NTX900FM isn’t particularly loud or full-bodied acoustically. The available volume is enough for practicing or song-writing, but this guitar doesn’t project in the way a traditional nylon-string does. Using the on-board pickup system changes things dramatically, turning the Yamaha NTX900FM into an interesting addition to your guitar arsenal. Yamaha’s ART-system works extremely well, and the separate volume controls for the bass and treble sides come in handy for fine-tuning your tone. The under-saddle transducers are also quite immune against handling noises, and the whole system is refreshingly low on hiss. In my opinion the Yamaha NTX900FM is a good choice if you’re looking for nylon-string tones with a steel-string feel – or if you’re into juicing up your nylon with effects.